Development Timeline for the new series? I thought it might be fun to put together a sort of development timeline for the new series during the wait. I'd be especially curious to see where work on the Missing Pieces and Between Two Worlds segments happened in relation to when Mark and David began discussing the 25 Years Later idea. Did Lynch already know that they would be returning to Twin Peaks while work on the "Complete" Mystery blu ray set was happening, or was seeing that footage again potentially something that made him fall back in love with the story? Also curious as to when Mark began working on the novel. It could be fun to put together a rough series of events with people who are more well versed than myself in the order or things, even if some of the starting points are just speculation. Re: Development Timeline for the new series? Last edited by Hopper on Tue May 24, 2016 10:33 am, edited 1 time in total. JordinGoff wrote: I thought it might be fun to put together a sort of development timeline for the new series during the wait. Following that (according to the video that Jerry recently posted), they kicked around ideas for about nine months before writing a word (putting the timeline at March-May 2012). They then spent a year writing the first two hours (putting us at March-May 2013). Per the casting notice for the waitress, and also per Ray Wise, 'Between Two Worlds' was shot January 7, 2014 - http://welcometotwinpeaks.com/news/twin-peaks-promo-casting-call/. So writing of the new series was already well underway by the time Lynch shot that feature. Lending to the inference that the tidbits dropped by the Palmer family were calculated to coincide with what we'll see in the new season. Mr. Reindeer wrote: Lending to the inference that the tidbits dropped by the Palmer family were calculated to coincide with what we'll see in the new season. Thanks a lot! That was exactly what I was looking for. I appreciate the links as well. It was watching Between Two Worlds again that got me wondering about all of this stuff! That was kind of a functional pre-teaser, I guess. I imagine, on the book end, that Mark Frost has been thinking about this for quite a while. I think I remember reading somewhere that writing a novel to expand the mythology was a long time dream of his, or maybe I'm making that up..
Laura Dern said in early 2013 she knew Lynch was working on something she might be involved with and Angelo Badalamenti claims to have known about the project for about a year before it was announced. It will be interesting to know how many of his friends were in the know, and how much prep work was done by them before the first announcement. Clueless wrote: Laura Dern said in early 2013 she knew Lynch was working on something she might be involved with and Angelo Badalamenti claims to have known about the project for about a year before it was announced. It will be interesting to know how many of his friends were in the know, and how much prep work was done by them before the first announcement. X Files revival announced, shot and aired. Full House revival announced shot and aired. Season 2 filming now. Coach revival announced, shot and scrapped. Prison Break revival announced and shot. Airing this fall. Gilmore Girls revival announced, shot, airing this fall. 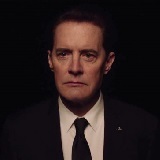 Twin Peaks - airing roughly one year from now. Si78 wrote: Here's a timeline. I know the original poster was joking, but obviously, post-production on TP is going to take much longer than any of those shows. Sound design alone is incredibly important to Lynch (I'd argue that 'Eraserhead' is one of the few films in history where the world of the film is 80% created through sound). For most of the shows mentioned by the OP, the audio editing stage will simply be mixing dialogue and adding music. I'd rather that Lynch take an extra 8-12 months and work his magic to painstakingly create a perfect world that he's satisfied with. Once the third season is out, we'll have the rest of our lives to enjoy/dissect/be immersed in it it. I'd rather wait a little longer so Lynch can ensure that it's perfect. Mr. Reindeer wrote: I know the original poster was joking, but obviously, post-production on TP is going to take much longer than any of those shows. Sound design alone is incredibly important to Lynch (I'd argue that 'Eraserhead' is one of the few films in history where the world of the film is 80% created through sound). For most of the shows mentioned by the OP, the audio editing stage will simply be mixing dialogue and adding music. I'd rather that Lynch take an extra 8-12 months and work his magic to painstakingly create a perfect world that he's satisfied with. Once the third season is out, we'll have the rest of our lives to enjoy/dissect/be immersed in it it. I'd rather wait a little longer so Lynch can ensure that it's perfect. DeerMeadowRadio wrote: I just remembered that at one point during the 2013 USC retrospective Frost quickly notes that he was just in a meeting the other day for a show...this stuck out at me because as far as I know he hasn't had a show since All Souls more than a decade ago. Now I am almost 100% certain that he was playing games and the series was TP! He was also asked at USC if there would be a Season 3 and he literally said, "All I can say is, Twin Peaks is a continuing story, and that's from both David and me." Looking back there probably should have been a bigger deal made of this than there was.